Every woman has that one item. When you look in the mirror, you just feel different, and though you wear it over and over again, every time you break it out, the compliments start rolling in. While I'm hesitant to use the word magical in reference to clothing, if putting something on can have such an immediate impact, well isn't that some sort of magic? 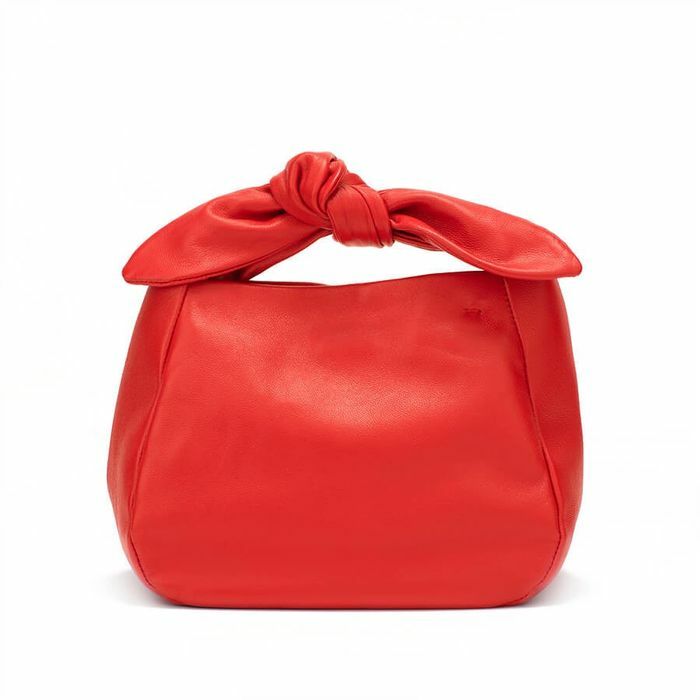 From the moment I broke out this cute little mini bag, I knew I'd found the perfect day-to-night piece. Its bright hue is instantly eye-catching, and it's the perfect size for fitting all the essentials. Finding a pair of relaxed jeans that are actually flattering was once a challenge, but no more. I loved these jeans so much, I now own them in both blue and black, and I inspired co-workers to pick up a pair for themselves as well. It's easy for statement earrings to make too much of a statement, but Laura Lombardi's hoops are just right. They're hollow, which means they won't kill your ears, and while they're chunky enough to stand out, they don't overpower the rest of what you're wearing. While your mind may not go to wide-leg pants when you think of the most flattering items, there's something special about these Everlane pants, which hit just right on the ankle. Look, I know these sneakers are controversial and may not be for everyone, but I can't deny the fact that they're the center of conversation every time I put them on. The retro, dad-inspired feel is right on trend at the moment. I'm calling it now: All things celestial print will be huge next year. This dress seems to be a favorite among friends and strangers alike. This jacket takes the concept of a statement sleeve to a whole new level. Even styled with a simple pair of jeans, it's a winner. While leggings might not top your list of pieces you stand for, this pair by Outdoor Voices has inspired many of my friends to purchase them for themselves. What pieces do you always get compliments on? Let us know in the comments.